Do you want to make extra money during the New Year? ?? ?? Get your items together and put them in my consignment Ebay store. I will pay you. I will do all of the selling, Ebay fees, manage store and do all selling. I do the work and you sit back and collect for your unwanted items. I am looking for basically anything unique, collectible, interesting, retro, small or large items. Anything Disney, character, signage or advertising items, vintage is great, but does not have to be. Clothes, accessories and jewelry are great items. You can have one item or multiple items. I do not take fake or counterfeit merchandise when it comes to designer items. I will have it authenticated before I list it. After your items sell I notify you that we got your price or what price we get. If an item does not sell for a long time I will ask if you wish to reduce the price. I do have a consignee agreement contract for your protection. I will stock and inventory your merchandise. I will appraise your items and let you know what they will sell for and give you an estimates list for your items. I always work hard to sell your items for the highest price. If you are local in Orlando I will come and review your items, help you inventory and stock and sell your items for you. If you are anywhere in the US I will handle it virtually and you can sell in my store. Let me know if you have questions. I am willing to buy outright. Let me know what you have. If you are out of the State of Florida let me know and we can discuss it. 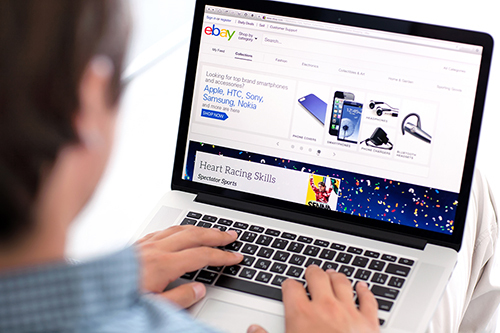 If you are a business and would like to have an Ebay store of your own and not pay out consignee commissions we will professionally create, design and set up your Ebay store. We will inventory and list all of your merchandise. We will then manage the store for you for a flat monthly rate of $99. We will come to your business and photograph your merchandise for listings. Initial set up and inventory listing fee is $200. It is never a good idea to jump in at a bad time to air your grievances. You know who really makes America Great? You and I. Words spewed out of your mouth are never retrieved. Inner turmoil, anger and dissatisfaction reveal publicly the deepest part of your character and integrity. If you have a brand online and are out here engaging in all of this, remember, how you act shows how you will act with clients in your company. The disappointed voters don't deserve for you to rub their face in it and treat them badly. Likewise, disappointed voters, you can do something about it in 4 years. Continued bashing won't change the results. When will each of us let peace start in our homes and lives? If all of your hopes and dreams are wrapped up in either Trump or Clinton you have been wasting your life. Neither one of them control your destiny. Having inner feelings that control you only make you unhappy inside and steals your inner peace. A fool opens his mouth and speaks everything he or she thinks. Having your freedom of speech is one things, but actions as are being displayed today by haters is not exercising freedom of speech it is promoting hatred and unrest among fellow humans. Probably this is why humans disrespect each other and there is not peace in our country. Have a wonderful blessed day. Go hug your kids, take a friend to lunch or coffee, send a Fall email. Go for a walk, go to the gym and burn off some of your whatever. Just take control of yourself, your speech and your actions.